WATCH: Did Dufner gripe about not being conceded a short putt in his second-round match? Jason Dufner measures his putt on No. 10 after knocking it in. Two rounds are complete at the WGC-Match Play, where golf is blended with layers of gamesmanship. 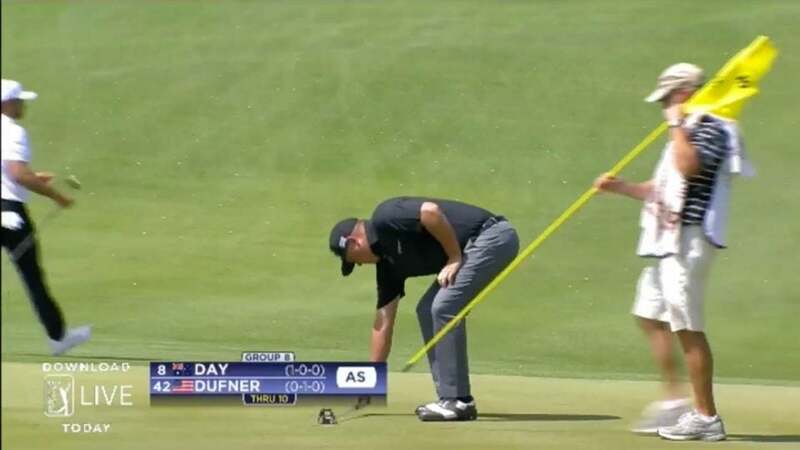 Take the Jason Dufner-Jason Day match from Thursday, where it appeared for a moment that Jason Dufner had an issue with being forced to take a short putt. On the 10th hole of his all-square match, Dufner knocked in what appeared to be a 3-footer. After the putt dropped, Dufner laid his putter down on the putt line, clearly measuring the distance of the putt. Here's the video. Looks like Duf is miffed at being forced to take that putt, doesn't it? After the match, Dufner hopped on Twitter to tell his side of it. So, angry at the putt, or measuring a disappointing lag? Either way, Dufner went on to win the match 3 and 1 as Day bogeyed three of his final five holes on the back nine. The games continue Friday.